Picture from paddyhillsbagger : Bohaun summit with Glenbeg E in background. 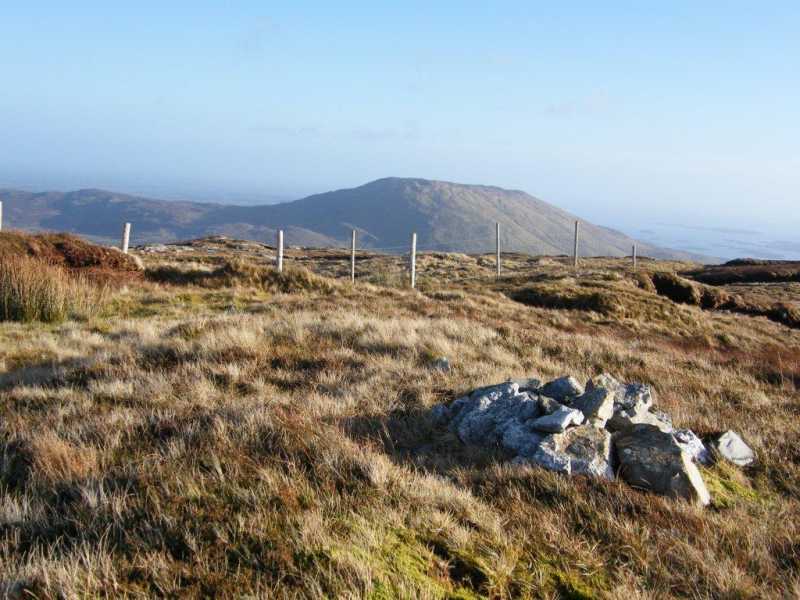 Picture: Bohaun summit with Glenbeg E in background. Rather than follow Filhill's route (which would involve a long trek) I chose a more direct, if steeper route from the North. Finding a spot to park near M009 570 C, I enquired locally about access and got a friendly response from a cheery sheep farmer with whom I chatted for a while whilst enjoying the January sunshine! The walk itself followed the line of a stone wall accessed via a farm gate and later when above the fields along the line of a stream. The top was gained in about an hour and although steep in places, a route can be chosen to avoid the more vertical parts.